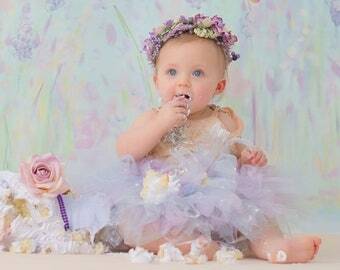 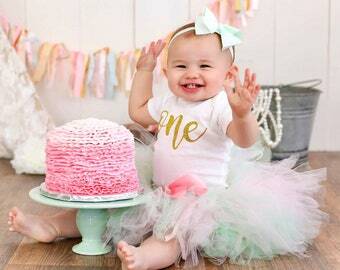 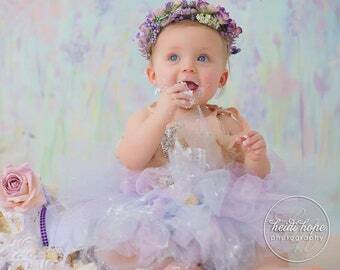 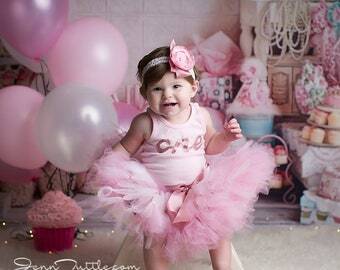 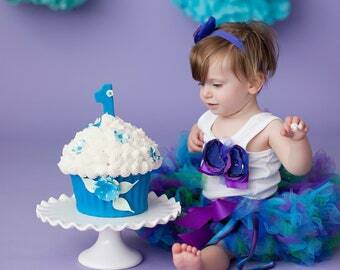 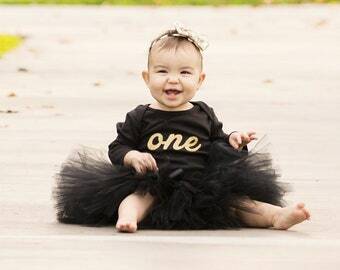 Our little mermaid first birthday tutu outfit is adorable for an under the sea or mermaid birthday party event. 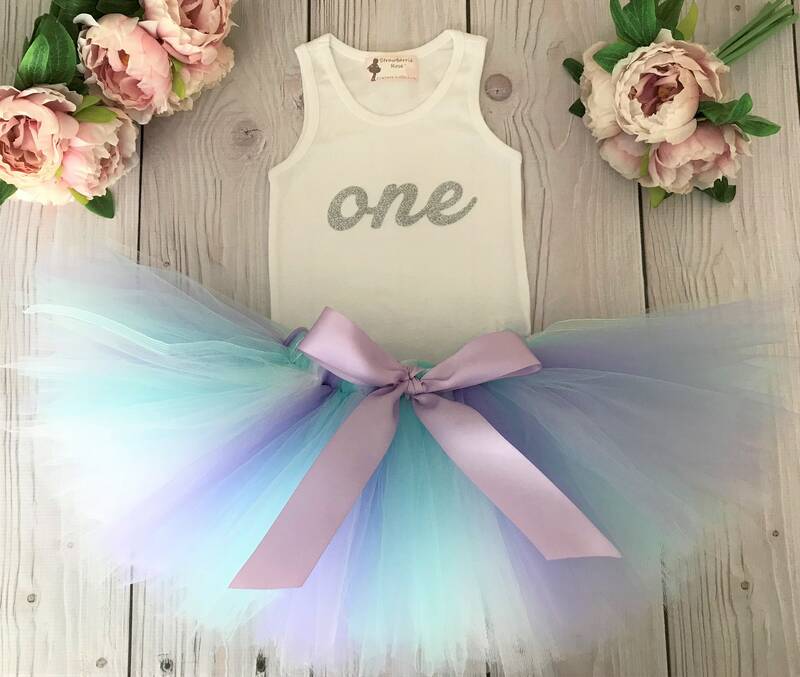 It can be created in a cascade of color combos and includes a tutu and matching tank top, short or long sleeved bodysuit or shirt. 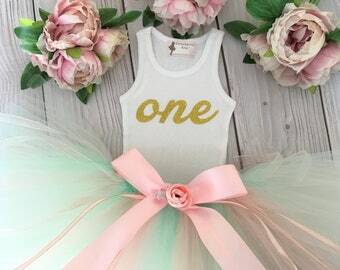 Bow or flower headband can also be added in the drop down menu. 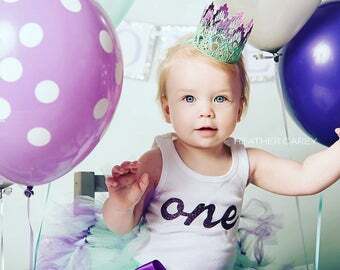 Any crown shown is sold separately.